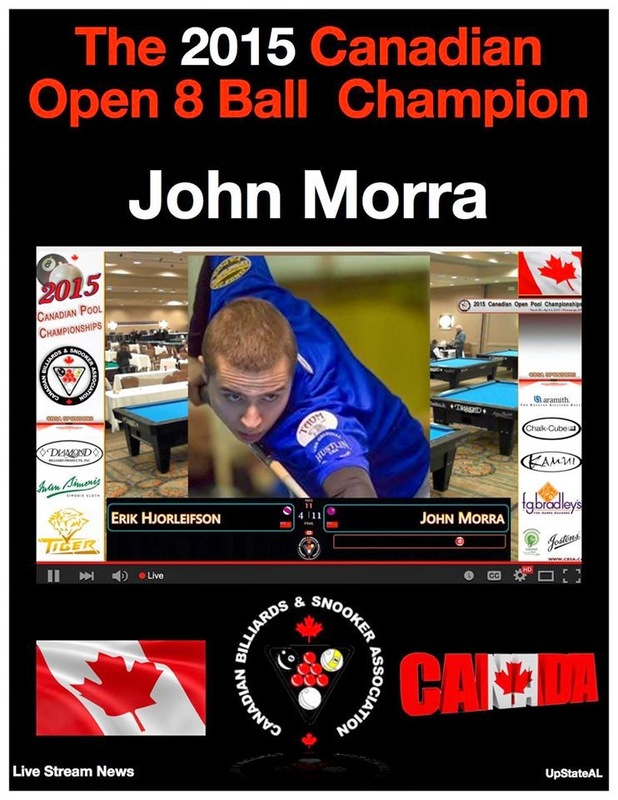 Today was the second and final day of the Canadian 8 Ball Championships. From the get go, it promised to be an entertaining day. First up on the stream was a final 4 winners side match-up between John"Mr Smooth" Morra and Tom Theriault. Morra continued on his torrid pace of the day before easily winning 9-4. On the adjacent table the other final four winners side match was taking place. It was Erik "Big Red" Hjorleifson up against Shannon Ducharme. This was maybe the best match of the day on the stream as it truly was a battle. In the end Hjorleifson was able to notch the win 9-7. A few hours later Morra and Hjorleifson played in the winners side final. Big Red got out to an early 6-1 lead and never gave it up taking full advantage of all his opportunities, eventually winning 9-3. On the losers side of the bracket Jason Klatt was able to avenge an earlier loss against Shannon Ducharme. In their previous match Ducharme had a big lead most of the way until 7-3. The tides seem to turn at this point and Klatt charged back to eventually tie the match 8-8. Unfortunately for Klatt he was unable to secure the final rack. In their second meeting Ducharme once again built a 7-3 lead. However this time Klatt climbed all the way back to win 9-8 and knock Ducharme out in the 5/6 place. Tom Theriault from New Brunswick who was just recently bumped to Pro in the Québec Federation. Played Mario Morra in the 5/6 position, on the other side of the losers bracket. Theriault who has had an impressive tournament thus far, continued his winning ways breaking and running on the hill to win 9-8. He then met up with Klatt who after his long run on the losers side seemed to have regained his form as he ended this match quickly 9-4. John Morra's earlier loss to Hjorleifson seemed to light a fire in him as he cruised through Klatt 9-3 to earn his rematch. In the final it was a much different affair as this time it was Morra who was dominate early and never relenting, winning 11-4. First place was $1400 plus a spot in the World Championships. The rest of the results are posted below. 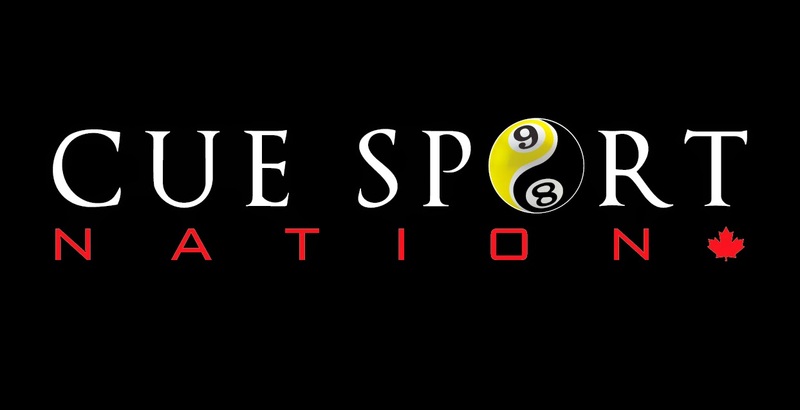 Tomorrow begins the 10 Ball event for both Men's and Women's Open Divisions.